Less than a year ago I wrote a very deep post about how I wouldn’t be sending my son to primary school in September. We were very lucky that later on that day we were indeed offered a fabulous school and Henry is about to complete his first year there. That being said, the end of the first school year creates many firsts for us as a family and one of those is finding a suitable teacher gift. Teachers really should be celebrated for all of the effort and hard work they put into educating the future generation. Having a number of friends who teach, I know first hand all the extra work they do out of school time and how passionate they are about their class. I really want to celebrate Henry’s teacher because she really has been incredible with him and I will be really sad that she won’t be teaching him next year. 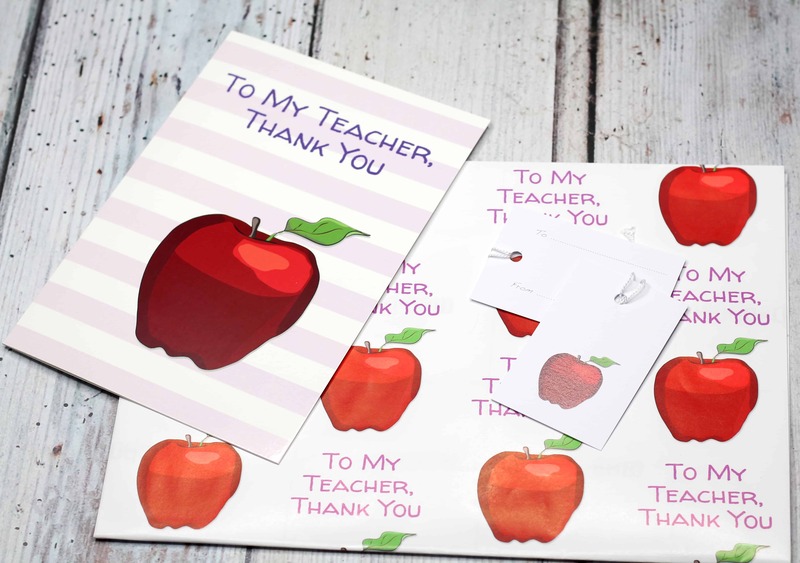 If, like me you want to celebrate your child’s teacher with a gift but you are drawing a blank then I’ve got you covered! I’ve been searching far and wide and have collected together a number of items I feel would be suitable for any teacher and any budget! All teachers like tea right? Whether it’s a cup they get to enjoy in the staff room or for a quick five minutes over break time it’s a little luxury that can make their day feel that bit better! If you are buying a teacher gift for a tea lover then Oteas have some wonderful gift choices. 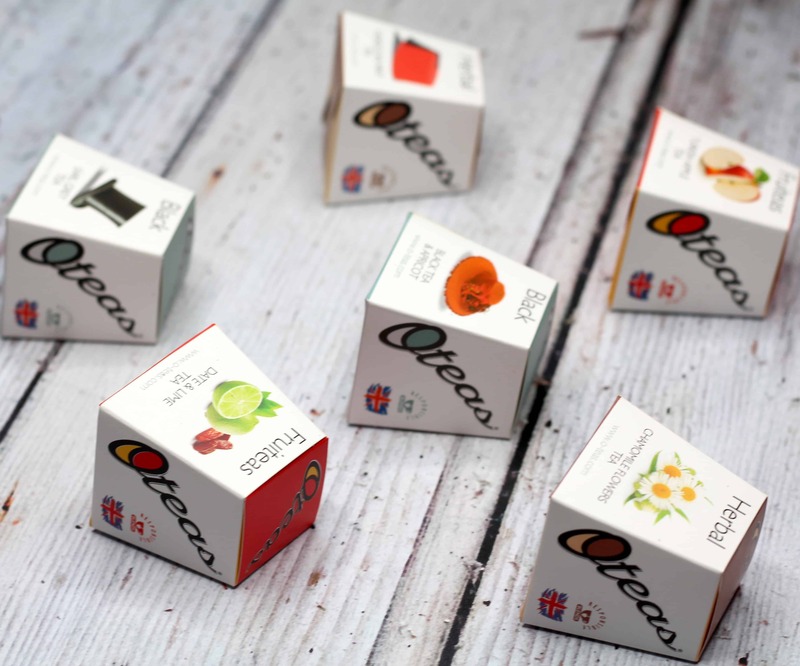 Oteas is a specialist British tea company that source and blend only the highest quality tea from around the world. 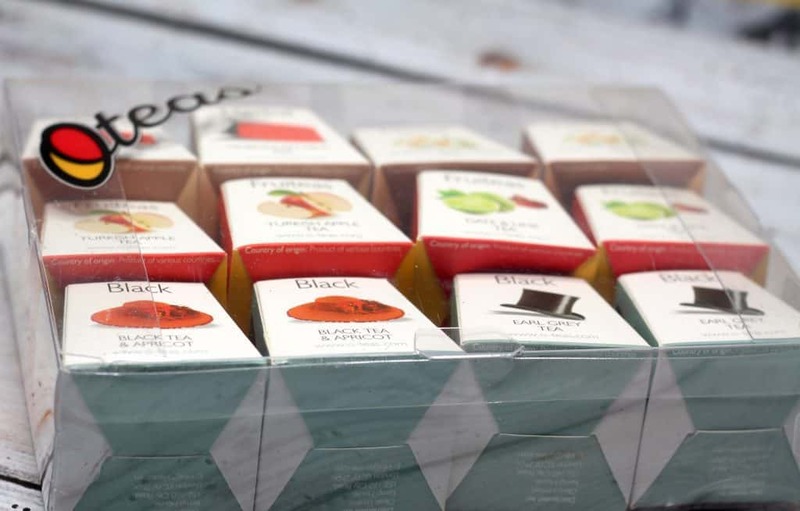 They do a great selection of individual tasting teas or if you are unsure what tea your teacher would love then their 12 tea gift box is perfect and you can pick whichever ones you like from the 30 different teas they offer! This will give them a selection of different teas to try over the next school year! With Black tea, fruit tea and herbal tea to choose from there is more than ample choice! The 12 tea gift box is priced at £4.95 and is available from the Oteas website here. Being a teacher is a stressful job right? I know that I have stressful days dealing with just one child can you imagine having to teach a class full of children all day, everyday! If you are in the market for a teacher gift that can be used to help said teacher relax then this just might be the one. 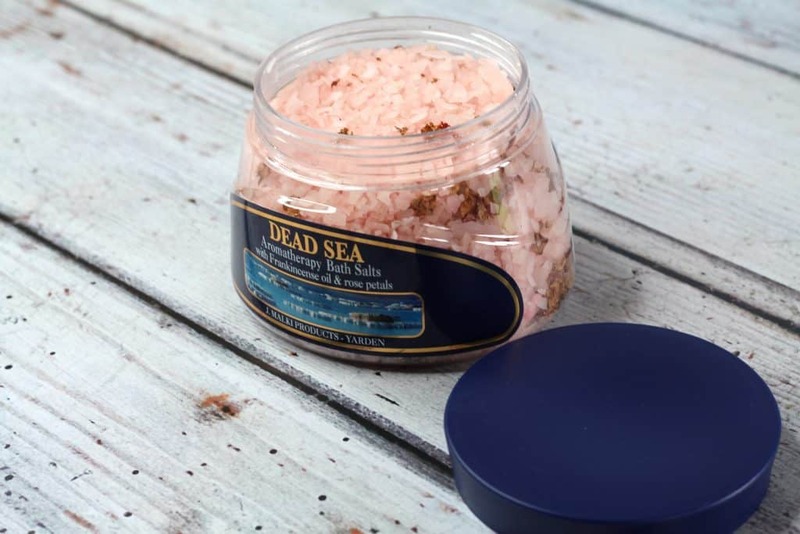 What better way to de-stress than in a Dead Sea Aromatherapy Bath? 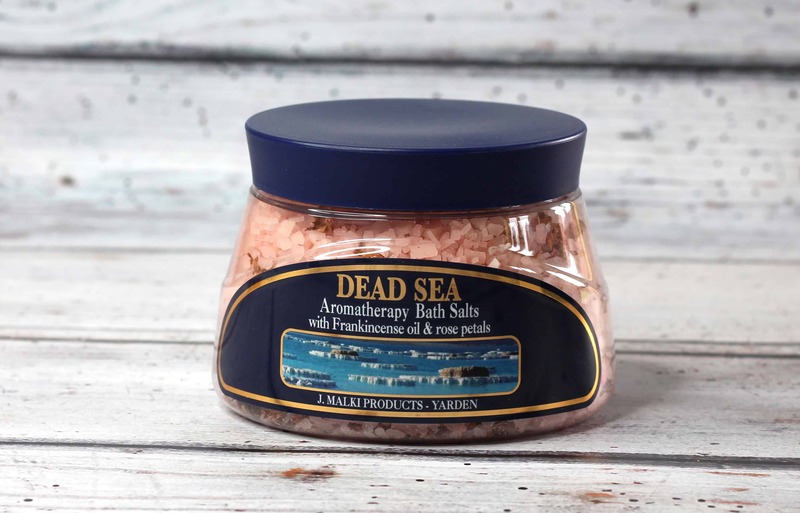 The Dead Sea Aromatherapy Bath Salts relax the mind and soothe tense muscles which sounds like the perfect teacher gift to me! The bath salts are £6.85 and are available from Boots stores and Boots online here. Teachers are constantly in need of a pen and we have all had that moment where you are searching frantically for a pen you just put down! 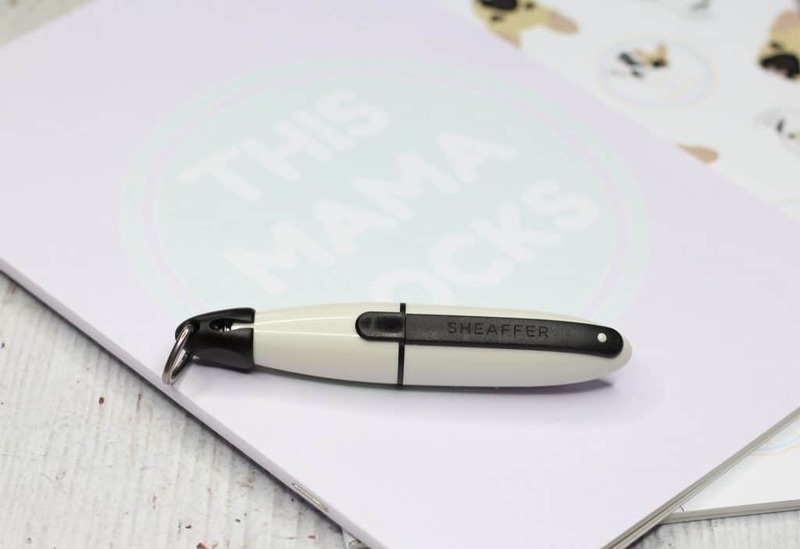 The solution to this has to be the Sheaffer Ion Pen which is compact and perfect for those needing a pen and who are on the go. The size makes it perfect to slip into a pocket or can easily be attached onto keys or a lanyard so it’s always close to hand. The Sheaffer Ion comes in several bold colours to suit all personalities! Sheaffer pens are fantastic quality too so you know it won’t let you down when you need it most!! The greatest part? This is a gift that can last a lifetime as once the ink runs out you can easily purchase refill cartridges! You can purchase the Sheaffer Ion from Amazon for around £12.99 it’s also available from other good pen retailers! If you are wanting to treat your child’s teacher to a real treat then a perfect place to shop is the wonderful Lauraloves. 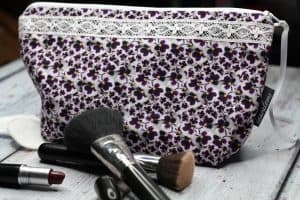 Laura makes unique, luxury gifts that would be a treat for anyone special and would be a lovely teacher gift. 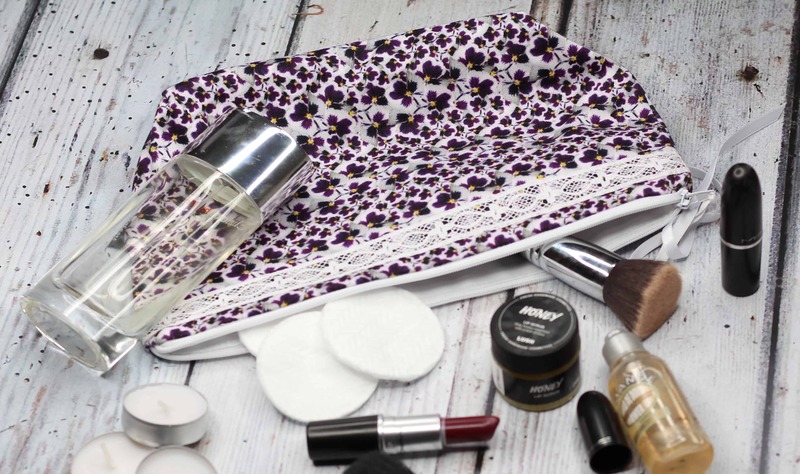 Laura sells many different items but some of my favourites for teacher gifts would be the sleep masks, water bottles and my absolute favourite choice – the cosmetic bags. 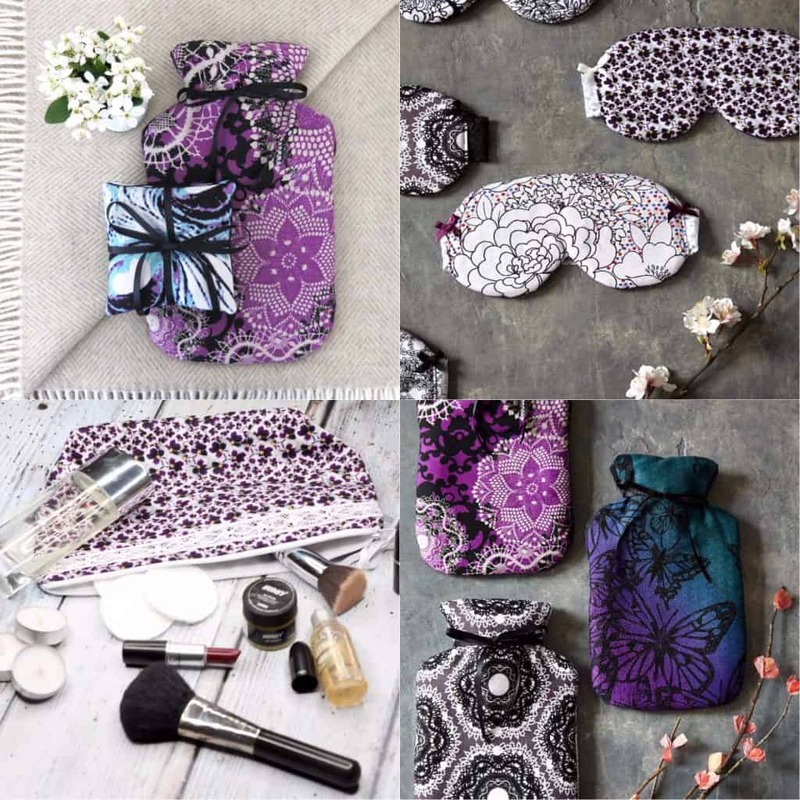 Each item is a unique luxurious design that is all brought together with a striking, bold fabric of which there is a huge selection to choose from, so finding the right one for your gift is easy! The hardest part is choosing just one! I love the idea of a cosmetic bag for a teacher gift as any cosmetics or toiletries they need for during the day can be bundled together and kept neat and tidy whilst still looking fabulous! The quality of the fabric and product is phenomenal and any teacher would be proud to receive something so special as a gift! 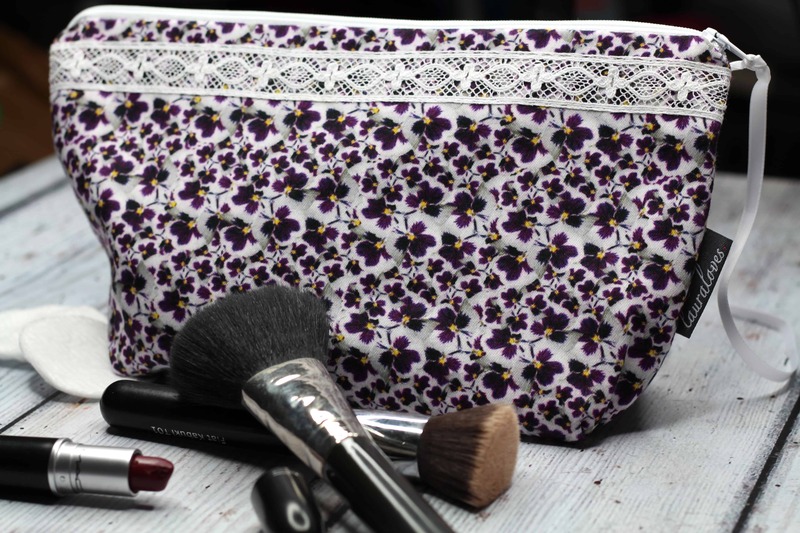 You can check out the full range and purchase from Laura at Lauraloves here. 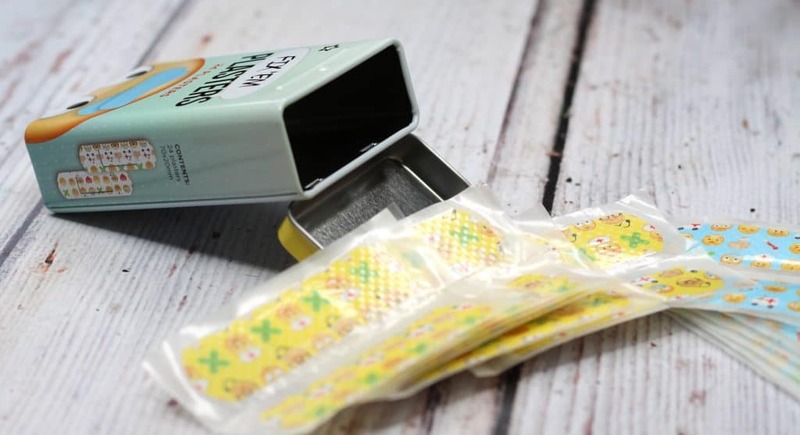 For a cute but practical teacher gift I highly recommend the Fix’em Plasters from Superdrug Henry is forever coming home with some kind of plaster for some random injury he has sustained! As a parent I know first hand that nothing hurts more than a grazed knee but that is all made better by a cute plaster!! The Fix’em Plasters come in a tin container meaning no more squashed plaster boxes and they have cute emoji designs on making them appropriate for kids of all ages even the older ones!! 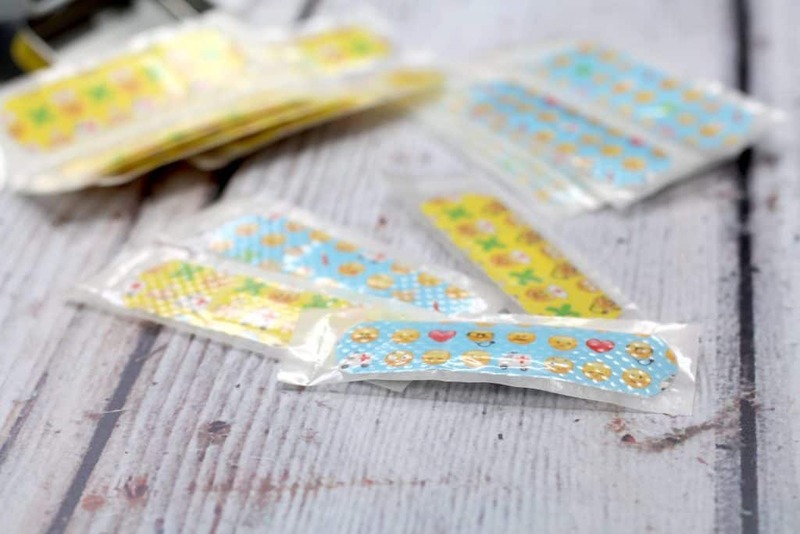 The Fix’Em Plasters are available from Superdrug at £2.99 and you can purchase them online here! Best of British Beer & Vincredible have a great selection of wines and beers if that’s the kind of teacher gift you are after. What I love about both of these websites is that you aren’t just getting them a cheap bottle of wine. Both the beers and wines available are perfect for a thoughtful gift that you may not know a lot about yourself!! Some of the gifts can be personalised to add that special touch but still be a practical gift. One item I thought was ideal had to be the Thirst Aid Box . I like the play on words and frankly after teaching a class of children for a year who doesn’t require first aid of some sort! 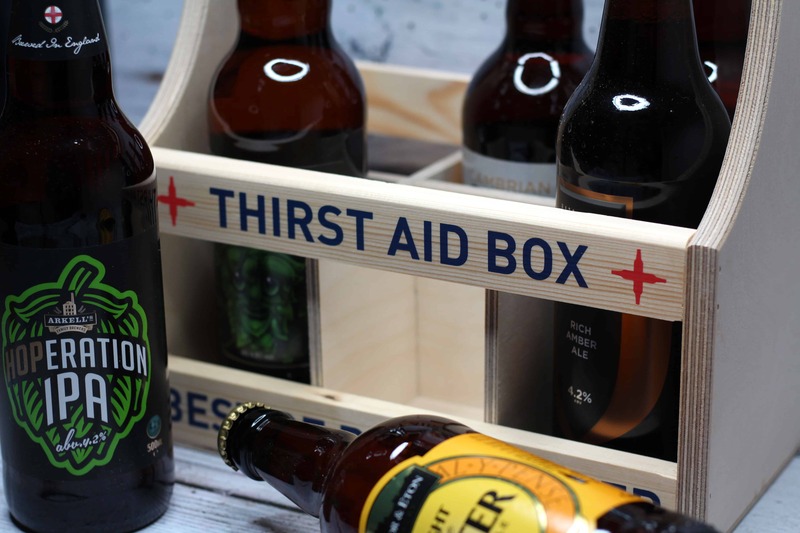 The Thirst Aid Box comes with 6 x 500ml bottles of beer all from award-winning breweries. 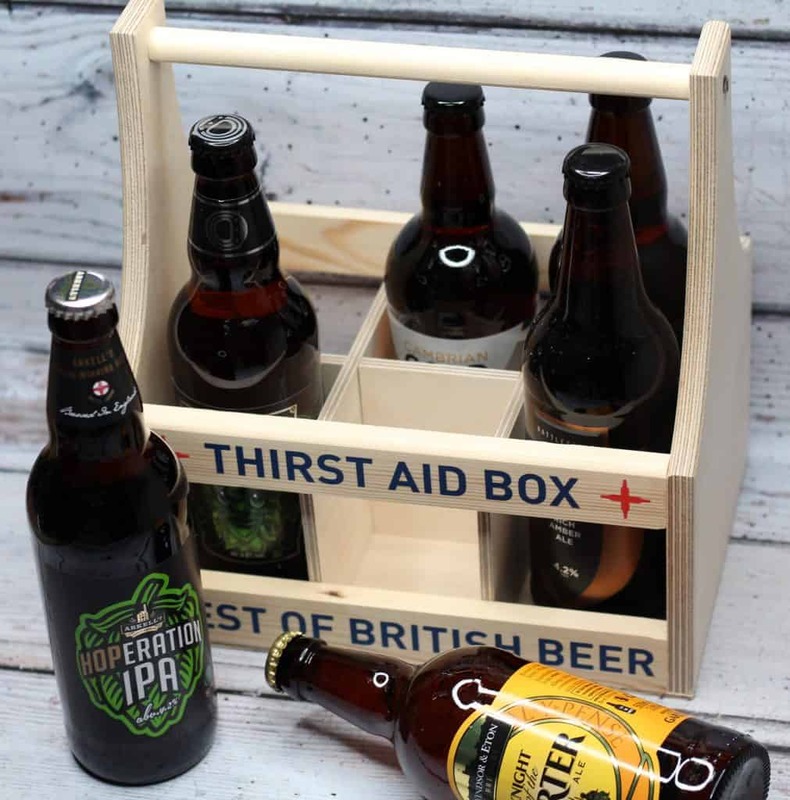 You can purchase the Thirst aid Box and browse the wide and extensive collection of beers from Best of British Beer here. All teachers are superheroes in some way shape or form right? 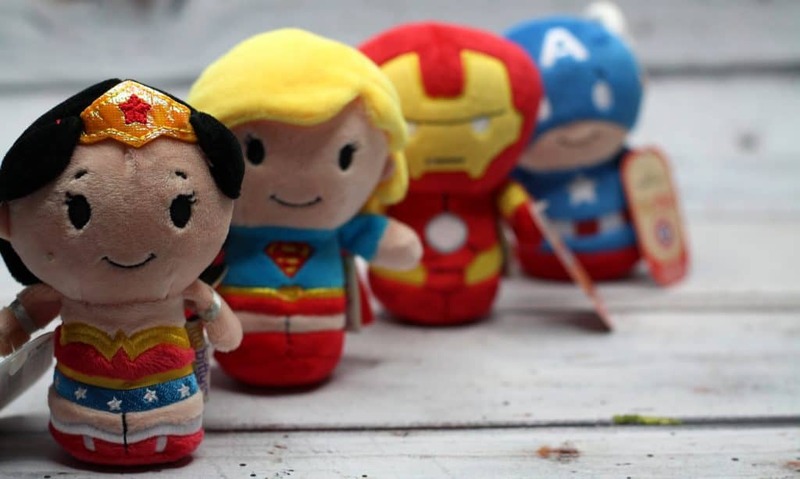 What better way to celebrate and honour their superhero abilities than with a superhero Itty Bitty Character from Hallmark!! I recently did a review on some of the Itty Bitty characters and they make great gifts for children or adults and are fab little desk buddies especially because they are small. Teachers don’t have the room for anything too big or distracting on their desk but Itty Bitty characters are perfect because they are discreet! Find out more about Itty Bitty Characters and check out the extensive range on the Hallmark website here. A while ago now I wrote about some of my favourite places to buy gifts and Not on the High Street was one of them! If you are looking for an extensive list of unique, personalised and cute gifts they have you covered with bells on!! The items they have available for teacher gifts is far more than substantial. The hardest part is picking because there is so much choice all of such a high standard and great price! That being said there were two gifts I really felt was just perfect. 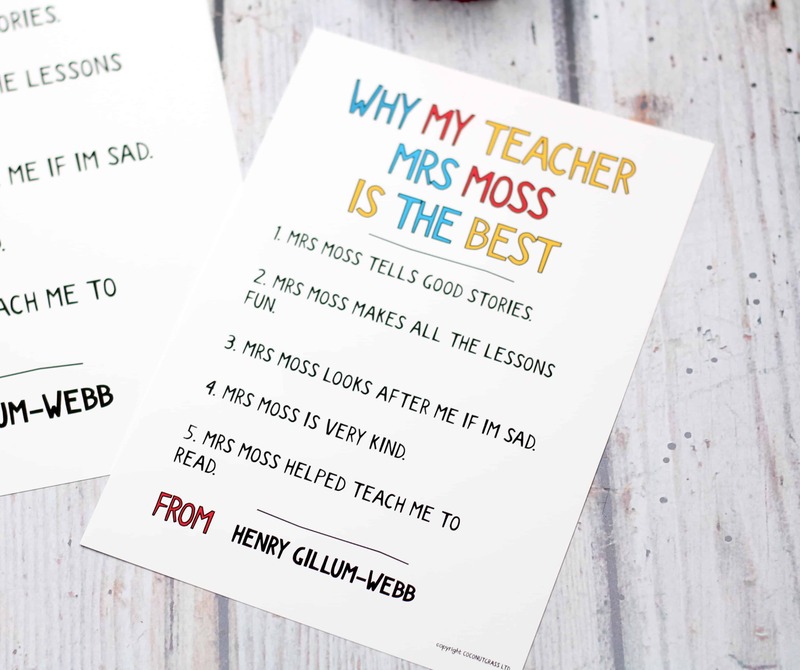 If I’m honest the first hurts my heart a little – especially as it’s for Henry’s first teacher and I really think the sentiment is true! 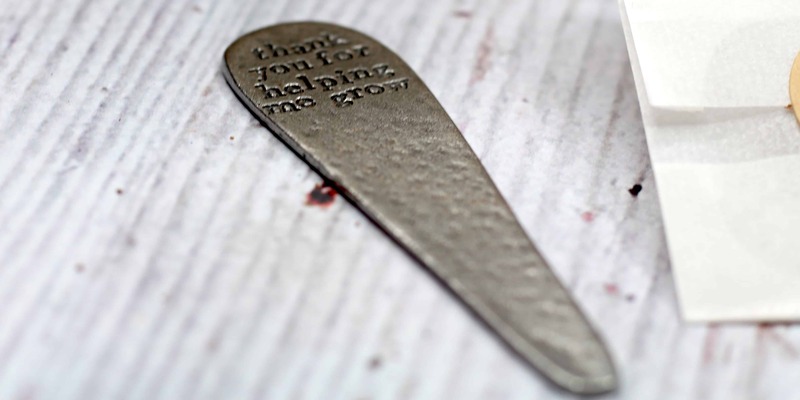 This cute ‘Thank You For Helping Me Grow’ Plant Set from Kutuu is just wonderful. I thought the set looked cute online but seriously in person it is so adorable!! I think it’s a real meaningful gift that any teacher would be honoured to receive.I like the fact that it represents all the work that Teachers put in to teaching our kids and how much of an influence they have on our children and who they are becoming as individuals. Less than a year ago Henry started school unable to read or write much and now he can read full books, write me endless letters and type out full blown emails!! He is growing and it’s mostly thanks to his teacher so what a fitting gift! The front of the gift box can be personalised and you can choose from a choice of different seeds to make the gift truly unique. 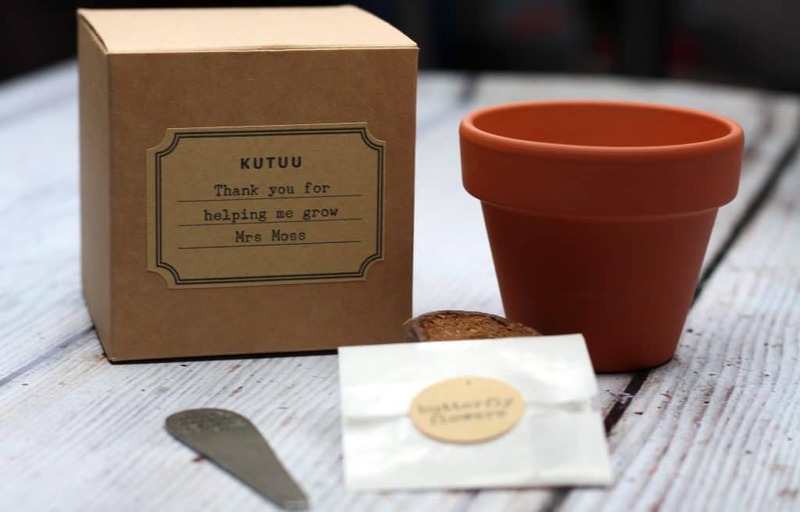 The plant set is £15 and you can purchase from Kutuu through Not on the High Street here. The second gift I felt was so appropriate was the ‘Why My Teacher Is The Best’ print by Coconutgrass . Printed on fine art paper and in high quality it really looks fabulous and professional! 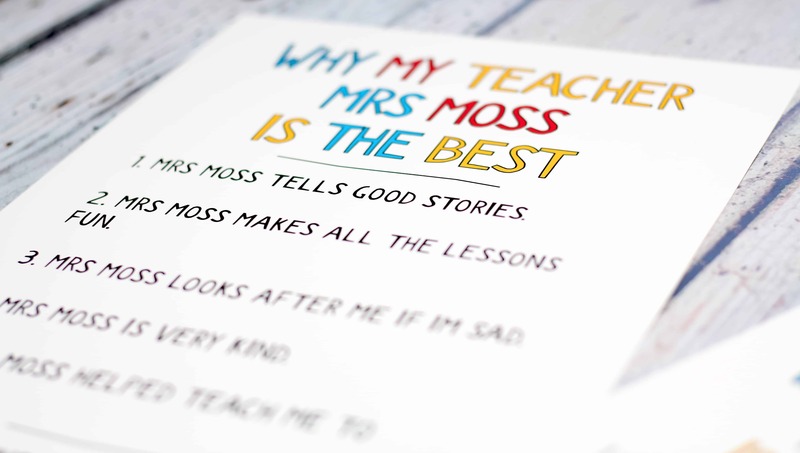 It is fully personalised so you can add your own teacher name and the reasons why they are the best. This is a great one to get the kids involved with and come up with some really personal ideas! The print is available in A5 or A4 depending on your preference and I think they both will make a lovely gift! This would be ideal to place in the classroom or take home as a special reminder. 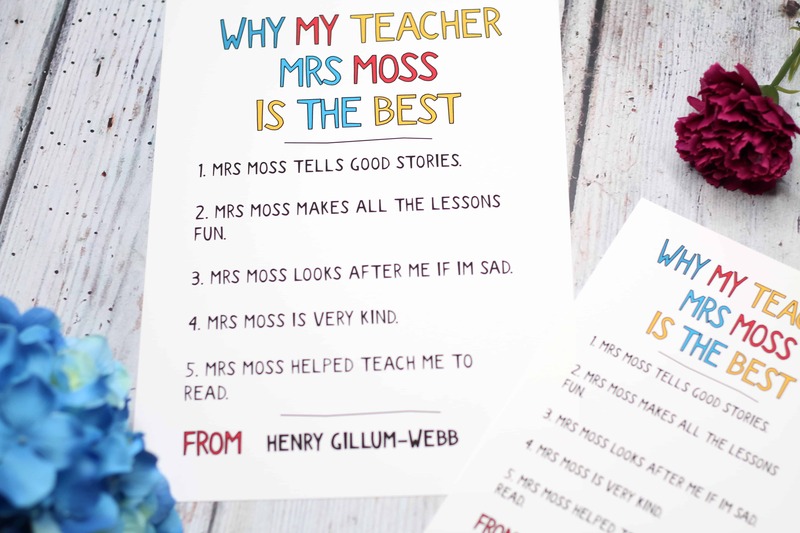 I really like how unique and personalised the print is and Henry really enjoyed thinking of the reasons why his teacher was the best! This is an ideal gift for both a male or female teacher or even a teaching assistant! You can personalise and order your print from here. For a male teacher a great gift has to be a tie! Often you see Male teachers wearing ties in school. This might be on a day-to-day basis or for more formal events. 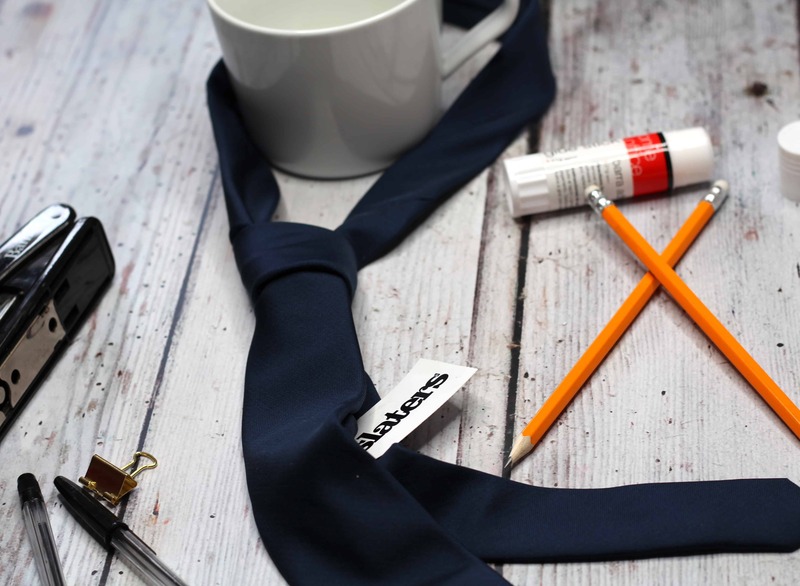 Slaters have an extensive range of good quality and affordably priced ties that would make an ideal teacher gift. It was hard to decide on which tie would be the best because there is so much choice! In the end, after much deliberation I felt that this Slim Navy Weave Matte Finish Tie was ideal. My thought process is – it can be used for both a general day-to-day look and easily worn to something more formal if the need arises. Being a beautiful navy colour it will go with most things and suit most tastes! 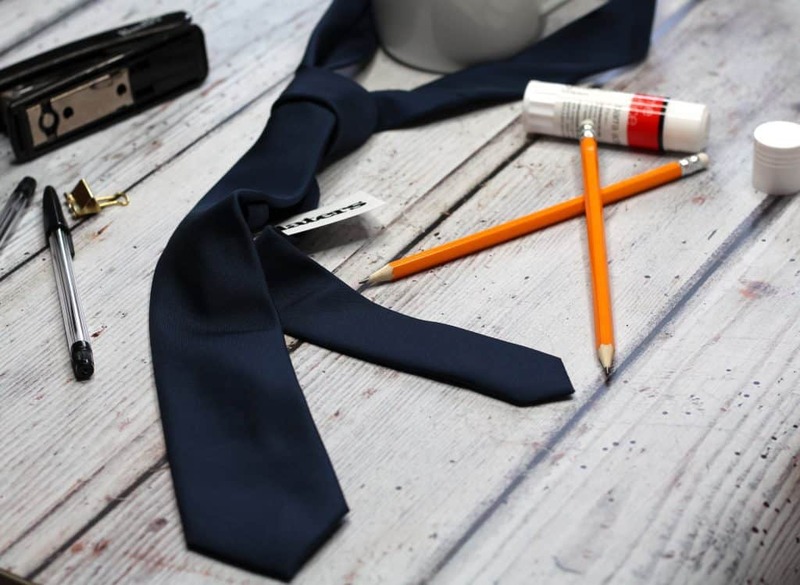 If a tie isn’t quite what you are looking for Slaters have a good choice of cufflinks and other little gifts that would also make a great teacher gift. 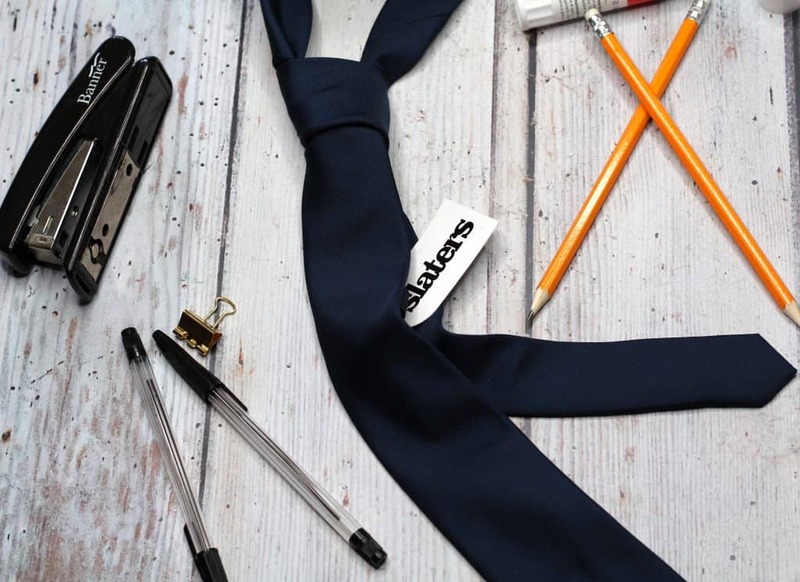 Check out the full range of Slaters ties here, there is bound to be one suitable for any teacher you are buying for! Sometimes you just don’t know what to buy right? It’s also really nice to give the person you are buying for choice. The One4all Gift Card is ideal for gifts like this because you aren’t restricting the recipient to one specific place thus allowing them to buy something they really want from somewhere they really want! That’s just a few of the places you can use the gift card and new stores are added frequently! 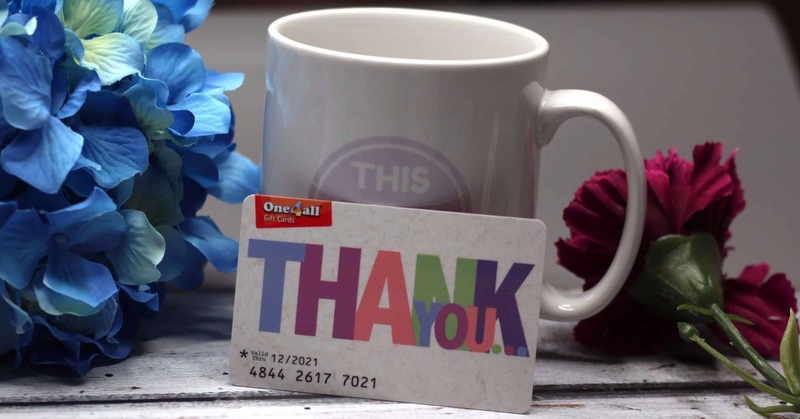 The One4all Gift Card could be used to buy work wear for the following school year, a pamper treat for the summer holidays, stationery supplies or a nice meal out! The whole balance doesn’t need to be spent in just one shop either with the flexibility to part spend in different retailers. 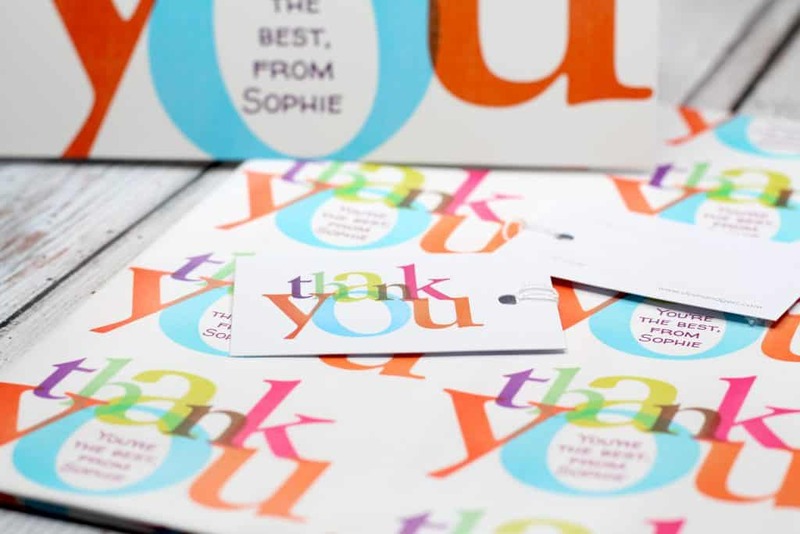 The gift card can be personalised for a small charge but I really liked the ‘Thank You’ or ‘Thank You Teacher’ option. The great thing about the One4all Gift Card is having that option to load as much money as you choose onto the card from £10 – £400 to suit any budget. The One4all Gift Card is ideal for either Male or Female teachers and you could even arrange a collection with the whole class and give it as a joint gift. Purchasing a One4all Gift Card is simple and easy using the website here. 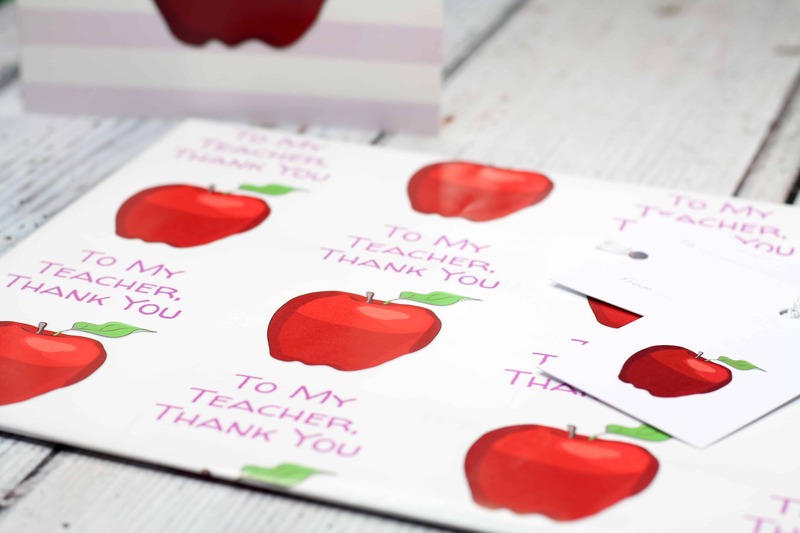 Once you have selected the perfect teacher gift you’ll want to make sure the accompanying card and wrapping paper are just right! I love the idea of personalised gift wrap especially for a teacher gift because it just adds that extra personal touch. A great place for personalised wrapping paper is Dom and Geri. You can choose to purchase different sized sheets or have your personalised wrap on a whole roll! The prices are really affordable too . so you won’t be spending more on the wrap than the actual gift! The wrapping paper is good quality thick paper that is easy to wrap any gift. Each sheet comes with two complimentary gift tags that match your chosen wrapping paper. There is a whole selection of choice available but these two were my favourites for wrapping a teacher gift. Along with the wrapping paper there is a selection of personalised cards which also match! 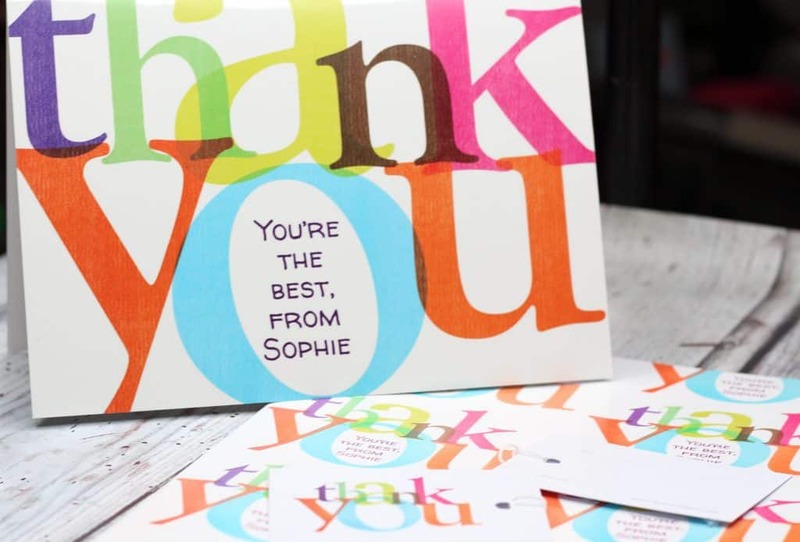 Again the cards are really good quality, thick card and perfect for a keepsake memento as part of your teacher gift! You can check out the full range of wrapping paper and cards available at the Dom and Geri website here. What Teacher Gift Would You Choose? I hope that this gift guide gave you some inspiration when it comes to purchasing a teacher gift. 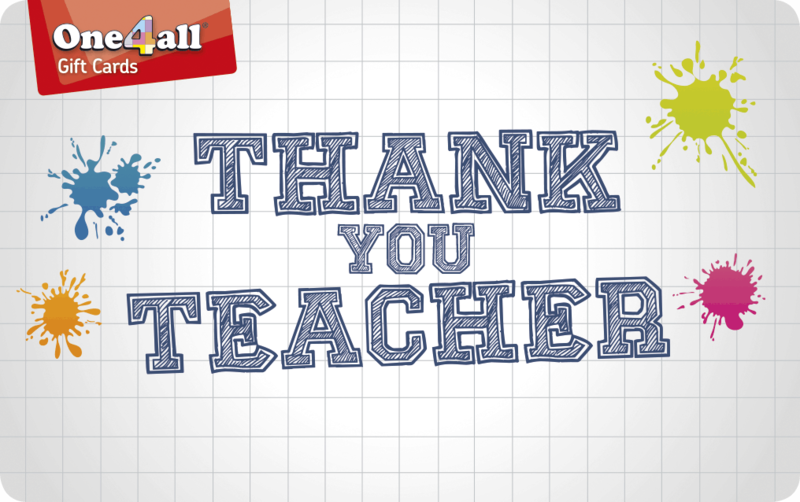 LEt me know in the comments what your favourite teacher gift would be or any other ideas you can add! *Some of these gifts were received on a gifting basis but as always all views, opinions and words remain my own. Prices are correct at time of publication. May contain affiliate links. For more information on any of this please head over to this page.